Paddington has warmed the hearts of generations of readers with his earnest good intentions and humorous misadventures. Paddington is an ADVENTURER! He left from Darkest Peru to immigrate to England with nothing but a suitcase and of course that darn marmalade. Paddington breaks the law! To kids, this is exciting! To us adults, not so much, but hey, it’s a kid’s book. Not only is Paddington an illegal stowaway not to mention owning nothing but a suitcase he has to rely on the kindness of others (or his own wits) to make it. Paddington wants someone to take care of him! Kids relate to that. They see Paddington Bear as a child who needs a family. It’s adorable. And that sign around his neck reading, “PLEASE LOOK AFTER THIS BEAR. THANK YOU.” So cute to kiddos. Yup. 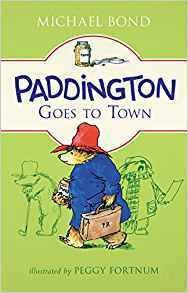 First published in 1968, Paddington Goes to Town is the eighth novel chronicling the adventures of Michael Bond’s beloved classic character, Paddington Bear. This newly repackaged paper-over-board edition contains the original text by Michael Bond and illustrations by Peggy Fortnum. About the Author: Thomas Michael Bond, CBE (born 13 January 1926) is an English author, best known for his Paddington Bear series of books. Bond was awarded a CBE in the Queen’s Birthday Honours 2015. Bio from Wikipedia, the free encyclopedia. 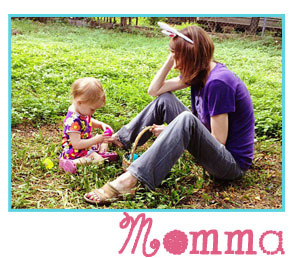 ← Don’t Miss These Exciting New Picture Books from RHCB!